GOLD MEDAL WINNER: Reader's Favorite International Book Award for Christian Romance. "Fresh dialogue, realistic characters, a powerful message. McCormick does a great job creating her characters and portraying the struggles they endure," The Romance Readers Connection. After only a few months of marriage, Lorraine left Dylan on a wintry night after he'd spent one too many nights out with the guys. Unable to cope with the loss, Dylan escapes the painful feelings by drinking them away. This decision costs him a year-and-a-half of his life after he stops in a little mountain town and ends up in the local jail. When he's released, he returns home in search of a job to get his life--and his wife back. One lonely mother. Two matchmaking kids. Three eligible bachelors, and some very yummy apple pie! When widow Becky Callis moves to a new town, her intentions were to start over in a place where she's not reminded of her dead husband. Her kids, however, take it as a chance to help her start over romantically. They soon realize it's easier to find someone to like their mother than it is to figure out which man is best for her. To the delight of both kids, young and handsome cowboy Scott Boone makes his interest plain and starts courting Becky almost immediately. But Jack Anderson and Becky have been friends since childhood. 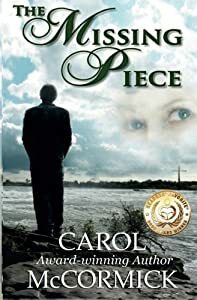 When they're reunited years after their lives have taken very different paths, this lonely preacher begins to wonder if God has brought her back into his life for a reason. Pearce Morgan is a single parent raising his young daughter. Divorced and disillusioned, an unlikely friendship arises between him and Becky when his shy daughter decides she loves Becky and her kids. Lonely Hearts, is a heartwarming story of second chances and choices, and includes an exclusive apple pie recipe! Living Inside The Testimony is a collection of anecdotes compiled by author Betty Collier. In reading these stories, you will share in her journey and experience the inspiration, faith, hope, humor, romance, and love she experienced. 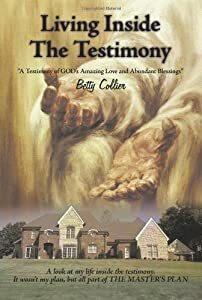 The stories in Living Inside The Testimony revolve around Betty's experiences with her family, friends, and other individuals who have contributed, often unknowingly, to the path God has chosen for her. You will hear the story of how Betty fell in love at age fourteen (with her future husband), about her husband's near-death experience with emergency brain surgery at a young age, her experiences in New York a week prior to 9/11, and the frustrating ordeal she and her husband overcame when trying to build their dream home. Betty attributes her success and her great love to God, and she shares with readers how God has orchestrated her life's path every step of the way. Betty's prayer is that you will see and feel Proverbs 3:5-6 come alive and speak to your heart as you take a walk with her, inside her testimony. She hopes you enjoy the journey and discover that we all live inside testimonies meant to be shared with others. Gypsy Lovell stands to inherit an enormous amount of money from a father who never gave her anything but a ridiculous name. Even now, he doesn't make it easy. A stipulation in the man's will demands that Gypsy be married in order to claim what is hers. Desperate for the monetary windfall that could save her ailing mother's life, Gypsy visits a Christian dating agency, hoping to find a temporary husband'Someone easy to handle for the required six months and easy to get rid of when she no longer needs him. Jal Garridan is neither of those things, but he's willing to take on the challenge presented by the beautiful stranger'on his own terms. 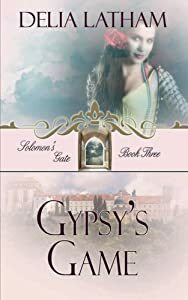 What Gypsy doesn't know is that Solomon's Gate is a dating agency with a Divine connection. What she finds there may save more than her mother's life. It may save Gypsy's soul. If marriage was an occupation, Constance was determined to enjoy her search for employment. Men, after all, made it easy to fall in love. Sadly, though, they also made it just as difficult to stay in love. Constance was not going to settle for an ordinary life as a wife. She just had to convince a certain someone as well as herself that a wedding could be the beginning of some adventures instead of the end of them. Faith is a tenured homemaker who loves her husband and children. She has endured many trials in her marriage, but none quite so difficult as the one she is about to experience. 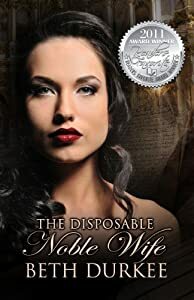 When she discovers her husband in the back seat of their family car with another woman, she turns to scripture for guidance and discovers, to her dismay, an obligation that is contrary to what the world prescribes. After her adult son suggests she keep a daily journal, she begins to record an adultery-spawned craziness that she never even dreamed could apply to any life, much less her previously loving marriage. This book appears to be a heartbreaking tale of one woman’s futile struggle to spare her family from being torn apart by adultery. On a deeper level, it is much more. To the spiritually trained eye, it is also a strong example of mankind’s natural bent to reject unconditional love in favor of carnal desire, his self-interested disobedience to divine command and his own stubbornness being his ultimate undoing. CAUTION: This is a love-it-or-hate-it read. He was every girl's dream... Carrie Dickson can hardly believe her good fortune-engaged to the handsome and rich Andrew Van Zant, she returns home to her beloved mountain community and to her family to make final preparations for her fast-approaching wedding. While there, she renews her friendship with Scott Spencer, a young man she had a secret crush on in high school. Scott's strong Christian commitment causes Carrie to examine her own faith-and her fiancé's-and her growing awareness triggers in her troubled feelings and jeopardizes her happiness. But with the wedding only weeks away, Carrie resolves to make the best of the future she willingly chose with the man she has promised to marry. However, when Andrew finally arrives in the mountain town to meet Carrie's parents, things don't go as planned. 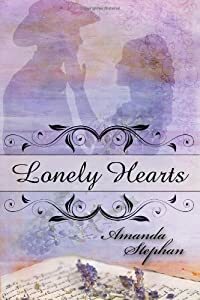 Her cousin Linda, who has always considered Carrie's boyfriends fair game, exposes Andrew's true motives and Carrie is faced with the reality of the direction she is going. Confused over the pressure from Andrew for a hasty marriage, as well as her burgeoning feelings for Scott, Carrie realizes that only God's strength and wisdom can help her choose the right path. She feels she needs more time. But, before she and Andrew can talk, a raging forest fire erupts and threatens all she holds dear. Carrie has only moments to make the decision that will forever change her life . 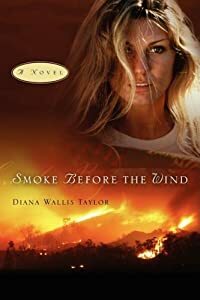 . . Diana Wallis Taylor is the author of Journey to the Well (Revell, 2009) and Wings of the Wind (Pleasant Word, 2008)-her first book of poetry. Taylor is active in her church's music ministry and Professional Women's Fellowship group. She serves on the board of the San Diego Christian Writer's Guild where she has received awards for fiction, poetry, and songwriting. She lives with her husband in San Diego, California.